"Am considering taking Tesla private at $420. Funding secured," the Tesla CEO tweeted Tuesday. Elon Musk has a plan to take Tesla private. The Tesla CEO surprised the tech and automative worlds on Tuesday when he tweeted that he's "considering" taking the electric car company private — and that he has funding for his plan already secured. Tesla shares rose sharply after Musk sent the tweet shortly before 1 p.m. ET. Trading was halted about an hour later. The shares reopened around 3:45 p.m. ET and rose again, pushing its stock price up 11 percent on the day. The stock climbed to more than $381 per share, still below the $420 level Musk said he is considering. Musk later tweeted that investor support for the plan was "confirmed" but contingent on a shareholder vote. Tesla later confirmed Musk's plan, publishing an email that Musk sent to Tesla employees on Tuesday. Tesla has been a public company since 2010 and has seen its stock rise sharply in the past few years, but Musk and the company have recently come under scrutiny for production delays. That has led to Tesla becoming the target of short selling, in which investors bet a company's stock price will decline. Musk pointed to short sellers in his email as having become a threat to the company. If Musk moves ahead with the plan, it would be one of the largest go-private deals on record at $72 billion, based on $420 per share, according to Reuters. Musk's tweet came just after the Financial Times reported that Saudi Arabia's sovereign wealth fund bought a $2 billion stake in Tesla. The exact timing of the purchase was unknown, but is believed to have happened some time after Saudi's crown prince, Mohammed bin Salman, visited the United States in March, the newspaper said. The stake is worth $1.9 billion to $3.1 billion at the company's current share price, according to CNBC. Questions over Tesla's finances come as the company has vowed to turn a profit in the second half of 2018. The company announced last week it had already burned through about $739.5 million in cash last quarter and suffered a $717.5 million loss, a company record. 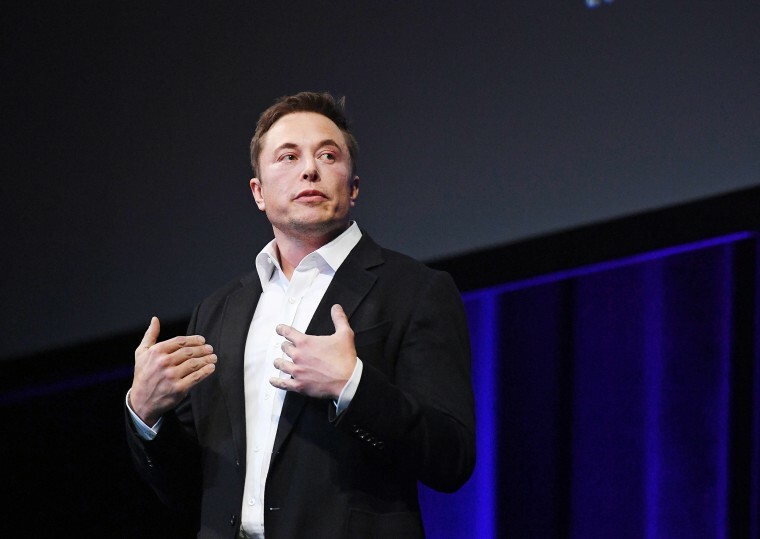 In a conference call with analysts, Musk said Tesla would refrain from going back to the markets to boost its capital and instead become "essentially self-funding." The company is counting on sales of its Model 3, which starts at $35,000 and is Tesla's first midsize car, to help drive up profits. Musk remains Tesla's largest shareholder. In June, the billionaire CEO bought about $25 million worth of stock, owning about 19.8 percent of the entire company, according to reports. Going private would allow Tesla to operate out of the scrutiny on Wall Street. In response to another Twitter user, Musk said that even if the company goes private, he has no plan to sell any of his shares and would remain CEO. "My hope is *all* current investors remain with Tesla even if we're private," he added in another tweet. "Would create special purpose fund enabling anyone to stay with Tesla. Already do this with Fidelity's SpaceX investment." As the founder of SpaceX, Musk has built a reputation on innovative design and engineering in the tech industry. He's also a frequent Twitter user, though his recent statements have caused some concern among investors. He recently accused a British man involved in the rescue of a youth soccer team trapped in a flooded Thai cave of pedophilia. He also apologized last week after slamming analysts during a conference call last quarter for asking what he said were "dry" questions. "Boring, bonehead questions are not cool. Next?" Musk said at the time. “Disclosure of material, nonpublic information on the personal social media site of an individual corporate officer — without advance notice to investors that the site may be used for this purpose — is unlikely to qualify as an acceptable method of disclosure under the securities laws,” the ruling notes. No major U.S. banks have so far been approached to fund the massive Tesla buyout, CNBC reported.